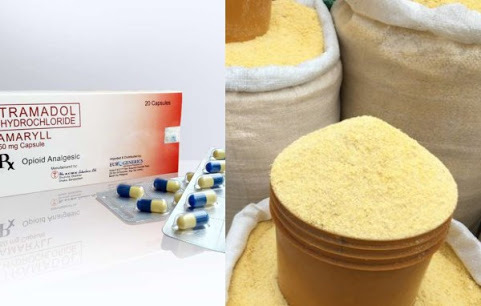 A yet-to-be identified Onitsha-based businessman has allegedly abandoned a substance suspected to be tramadol concealed in bags of garri. The owner ran away on sighting officers of the agency. Represented by the State Coordinator, NAFDAC, Mrs Christiana Esenwah, Adeyeye who spoke on the topic: ‘Abuse of psychoactive drugs in Nigeria: Our Problem’, expressed concern over the increasing rate of drug abuse among youths, especially in the North-West.